Everything turned out well. The guys were so nice & helpful; they set up the tables, and deliver everything were so wonderful and professional. The quality of their tables, chairs, and linens are super evident that saw in my own eyes. I want to thank them for making our Party a great success. Great service all around! We rented the princess castle bounce house with a slide for my daughter's birthday party and the kids absolutely had a great time. The bounce house was super clean and in perfect condition. I couldn't have asked for more. We will definitely be renting from you guys again! Thank you so much. I am so happy and impressed with the service. These guys came in last weekend for my daughter's birthday party to set up everything. The guys were in and out fast and they were super courteous. We also rented a couple of tables and chairs which were sturdy and not cheap-like at all. I will definitely be using their service again soon! 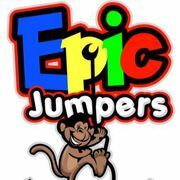 The whole process with Epic Jumpers was very quick and painless. The guys did the set up and take down for me and he was very professional and courteous. The bounce house/slide combo was perfect for my 5 year old kid's birthday party. Really appreciate it! I rented their services and was very pleased with them. They made it easy to book an inflatable obstacle course and be delivered to its destination. The setup time was fast and the crew definitely knew what they were doing. Expected time of delivery time was on point. As for pickup, it was done fast and clean. Couldn't have been happier and I highly recommend using Epic Jumpers to friends. I am truly grateful for the awesome service we received from this company. The team that help setup the inflatables was prompt and quick on their feet. When they were done, the look of the inflatables was truly amazing. Great customer service, excellent products and great prices. Would definitely contact them again if ever we have another big event coming up. Well, most likely in the holidays since its fast approaching. Highly recommend!